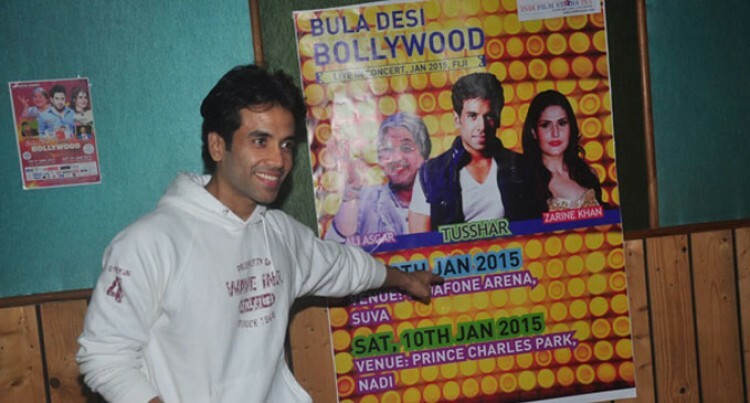 Bollywood choreographer, Ganesh Hiwarkar, is in the country to help local dancers get ready for the Bula Desi Bollywood Live in Concert on January 9 and 10. The stars include Comedy Nights with Kapil’s Ali Asgar, Bollywood actor Tusshar Kapoor and Zarine Khan. Mr Hiwarkar, 32 said he flew into the country on Tuesday to help prepare local dancers for the show. “I have been a choreographer for the past 12 years and this is my first trip to Fiji,” he said. Mr Hiwarkar said he had worked with some of the best Bollywood actors like Shah Rukh Khan, Salman Khan, Govinda and other big names. The show on January 9 will be held at the Vodafone Arena in Suva and the following day at Prince Charles Park in Nadi.